If you work with people in different time zones, scheduling remote meetings can get difficult. You may be in the eastern time zone, with others in pacific or even European time zones. To make this a bit easier, the Calendar app gives you a way to plan for various locations. 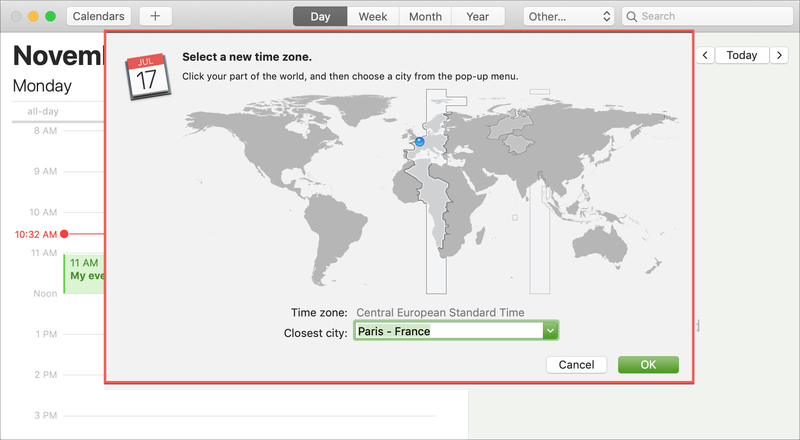 Here’s how to add and use time zone support for Calendar events. 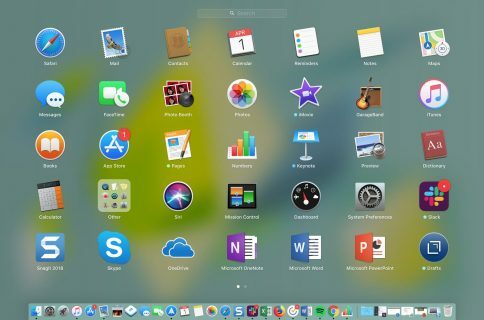 Open the Calendar app on your Mac and follow these steps. 1) Click Calendar from the menu bar and select Preferences. 2) Choose the Advanced tab. 3) Mark the checkbox next to Turn on time zone support. You’ll see your calendar change immediately to include the time zone drop-down box in the toolbar. Your current time zone should be displayed by default. Just click the drop-down and select Other to add more zones to your list. When you change the time zone in the toolbar, all events in your calendar will adjust for the new location. 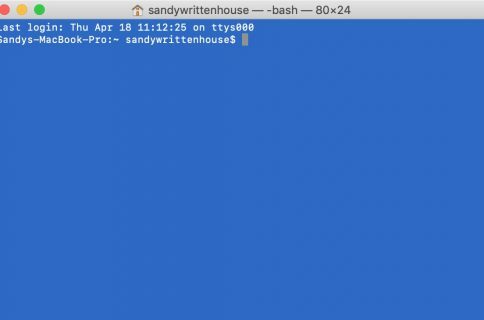 You can see the change immediately when you adjust the time zone. This is handy when you are traveling. In addition, you can adjust the time zone for events that you create. You’ll see the same time zone options in a drop-down within the event. This makes planning events that will take place in a different time zone simple. 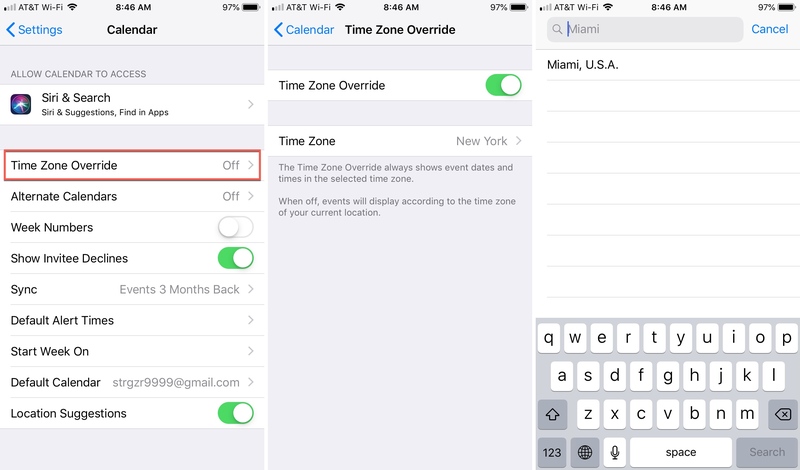 On your iPhone and iPad, there is a feature called Time Zone Override. Once enabled, dates and times for events will show in the time zone you select. 1) Open your Settings and select Calendar. 2) Tap Time Zone Override. 3) Move the slider next to Time Zone Override to enable it. 4) Search for and/or select your time zone. If you leave this setting disabled, dates and times for your events will display in the time zone of your current location. In these days of remote work and business travel, being aware of and being able to plan for different time zones is essential. And, this feature makes it easy. Are there other features of the Calendar app that you find extremely helpful? Let us know what they are in the comments below. 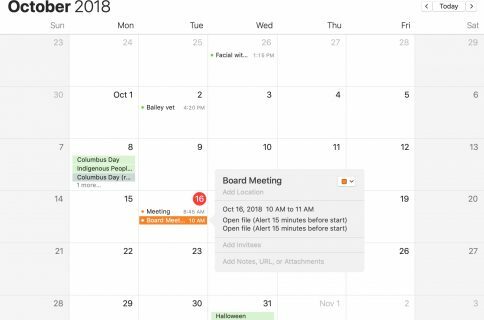 For related tutorials, check out how to subscribe to calendars on iOS, use Travel Time, and see birthdays in the Calendar app.